I would genuinely expect UMTS support for this phone! Coach F, 20 Nov 2018Does anyone know if you can input multiple numbers per contact n... moreIt doesn't support multiple numbers under one name. Does anyone know if you can input multiple numbers per contact name? Or is it just one number for one contact name in the phonebook? The only problem is the keyboard doesn't light up when receiving a call. The new color options are dark blue and light gray. Will Nokia HMD relaunch its Asha 301 model? The back cover is really similar to that of the Nokia X2-00. They're both aluminum and they both have a latch to remove it. What's messaging memory of Nokia 230? from where i gwt this phone kindly help me out. Last Week I grabbed one. I recommend this to people those who are looking for a feature phone. ( Really I am looking for a model which don't have even camera ). I am not understanding why people need Whatsapp, Facebook etc .. in such feature phones??. Really I love this one. If we want to print all our sms we have received and sent? 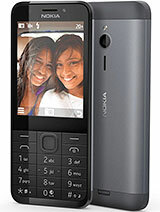 nokia 216 or 230? which one is better?